Originally taught to weave as a young girl, Donna rekindled her love of weaving when she participated in a workshop with master weaver Bronwyn Razem (Gunditijmara). 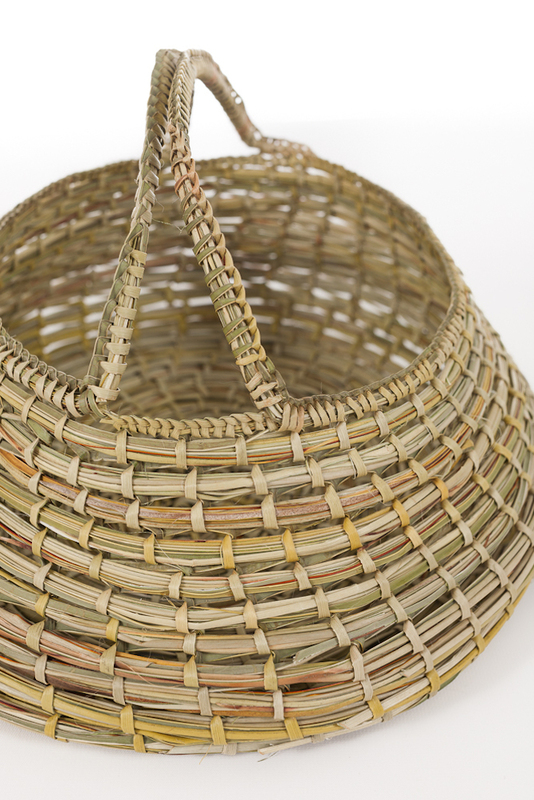 Donna uses a blanket stitch as it is a strong, sturdy stitch that creates baskets that are both practical and beautiful. She uses New Zealand flax in her baskets, which she collects from her local area. Although the plant is not indigenous to Australia, it is strong and wide, making it perfect for Donna’s style of weaving.